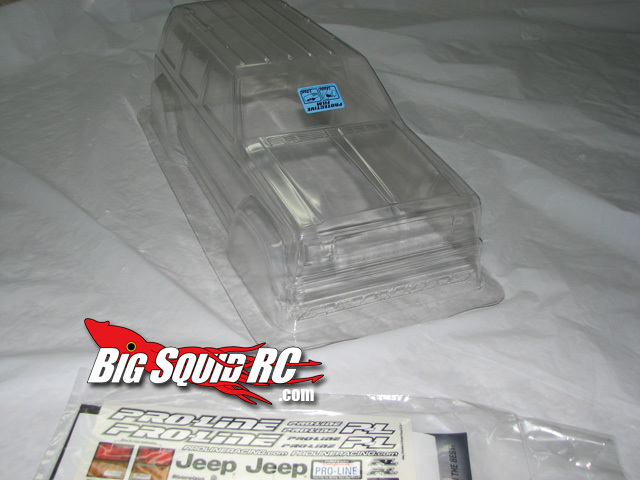 Pro-Line Jeep Cherokee – 1992 for the T-Maxx and Revo « Big Squid RC – RC Car and Truck News, Reviews, Videos, and More! Sitting on my desk today was a box from Pro-Line. I always like surprises! Especially the ones that Cubby has not already opened and is driving around in the parking lot, and all I see is the empty box. This one was untouched! So I open it up to find a new body! 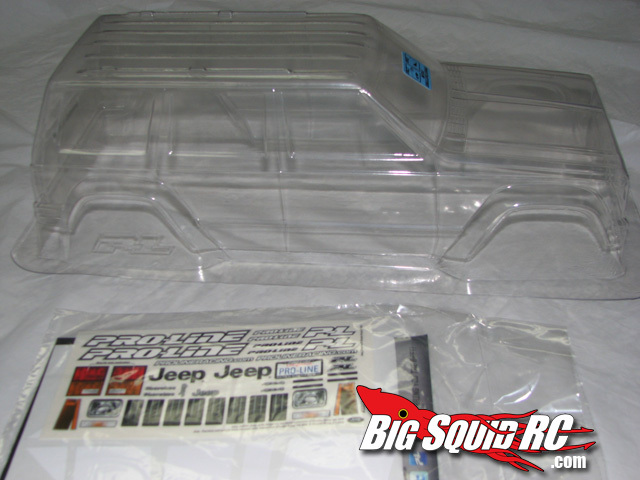 It’s a new Jeep Cherokee 1992 for Traxxas T-MAXX and Revo size vehicles! The official model number on it is 3361-00! What’s really cool is this body has not even been announced!!! As of the time of this post, it’s not even on their website! This is a nice surprise! 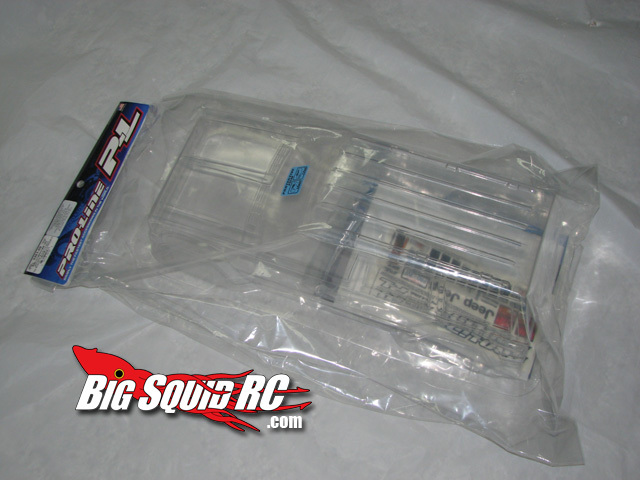 Whoever the little birdie is over at Pro-Line that snuck this one out, it’s much appreciated, thanks for the exclusive! Here are a couple of shots, a little hard to see without the paint, but it’s coming soon! 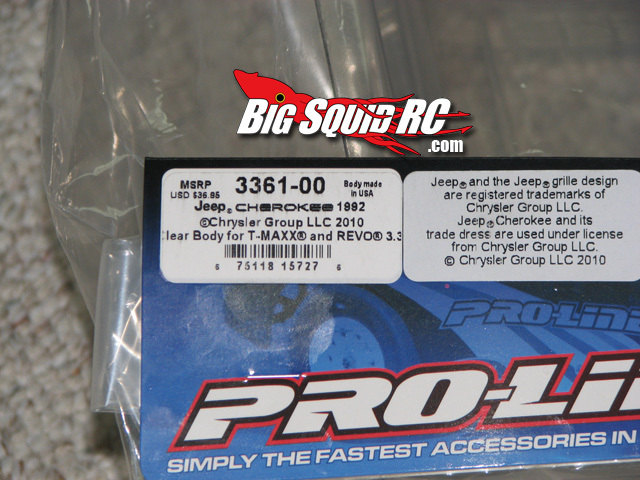 Make sure you check out Pro-Line for info, I’m sure it will be up in the next few days!